Brighton Food Bloggers. Brighton must be one of the most blogger friendly cities in the UK. 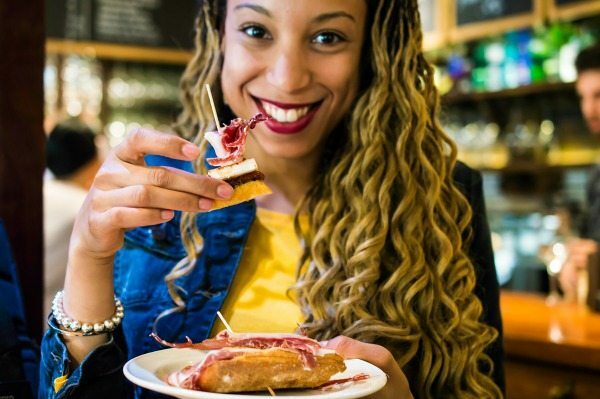 With so many fantastic places to eat, drink and see there are plenty of options when it comes to content. 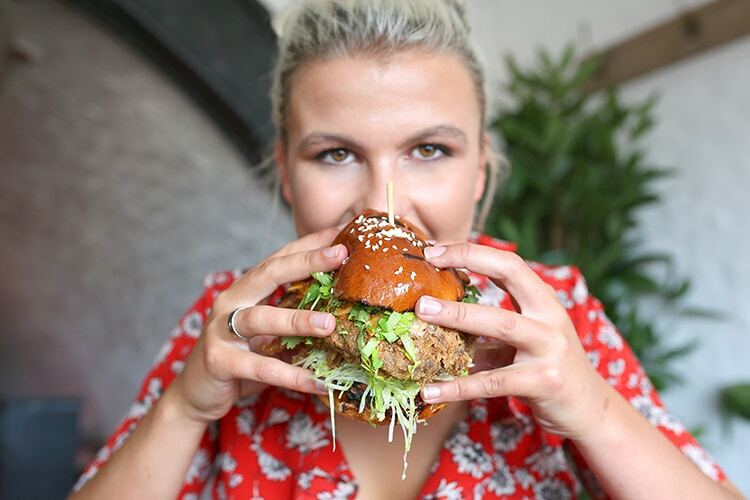 Brighton’s food scene is growing all the time, and its bloggers have been keeping track of all the comings and goings along the way. We do all that we can to bring you our take on it all, but the city’s bloggers often get the inside scoop or give an individual view on what they see is happening. Brighton is an inclusive city, and that extends to its food scene. We thought that it would be a good idea to extend that inclusiveness out to Brighton’s bloggers and feature ten of the best here. We have put together this list of bloggers who we feel best represent Brighton and its exciting food and drink scene. Each have their own individual style and opinion on what makes Brighton such a great place to be. Be sure to check them out and give them a follow on social media, you might discover something new that you hadn’t known about before. Combining a passion for photography and fantastic food is a recipe for blogging perfection, and this is what Foodie Eshé does best. This is a blog for those who love the visual appeal that a beautifully photographed plate of food can deliver. Eshé has developed the site into a celebration of Brighton’s food and drink, documenting everything from fine dining pop ups right through to coffee shops and takeaways. The recurring theme throughout is the quality of presentation on the site. Every photo is perfect, and every review is clear and informative. Recently the blog has developed to include travel guides, product reviews and the development of Eshé’s kitchen. Be sure to follow her on Instagram for more fantastic images and updates on food, travel and everything besides. 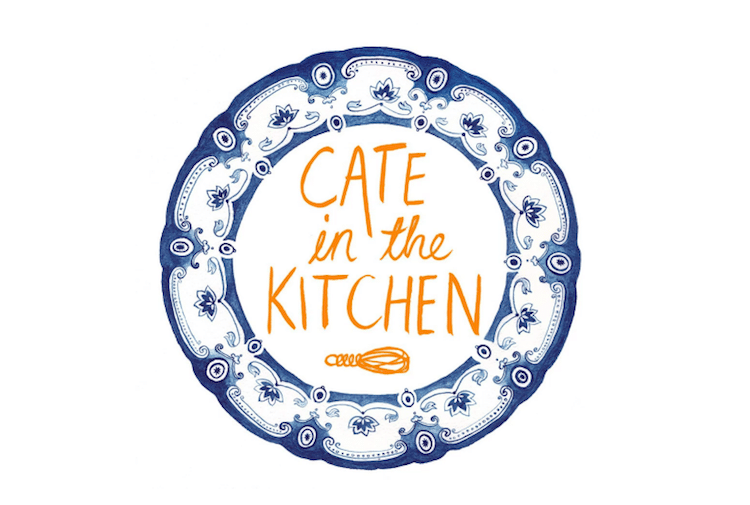 Cate in the Kitchen is a blog all about recipes, cookery books and products that is born out of Cate’s love of food. A self-confessed food obsessive, Cate spends her life reading, listening to and absorbing as much food information as possible and then shares that with her readers via the blog. As someone who is trying not to eat as much meat, there is plenty for vegetarians to enjoy on this blog. Cate has an easy style to read and the recipes are clear and straightforward to follow. The site has great photography which runs over into the linked Instagram account which is a must follow. One of the original Brighton bloggers, meet The Graphic Foodie. 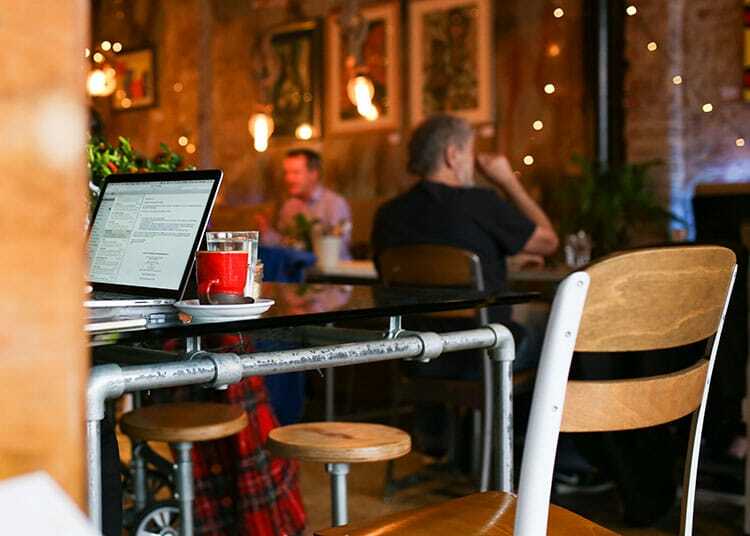 The blog features in-depth restaurant reviews, Brighton food guides, recipes and more. The name is not due to the graphic nature of writer Fran’s language, rather her love of graphic design which also makes an appearance on the blog. Fran’s Italian heritage comes across in her recipes, and her guide to Brighton pizza is a must read. Beautifully presented and written in a balanced and knowledgeable style, The Graphic Foodie is one of the best food bloggers in Brighton by far. Strengths: Stylish website, balanced reviews, great guides. The Third Place is a blog all about making the most of your social and casual time. Blogger Sammy always felt let down by disappointing food experiences, and wants her readers to avoid this by following her reviews. It does not review in a traditional sense, instead focussing on that certain something that makes a venue somewhere to spend your casual time. Reviews are very much based on Sammy’s personal experience, giving readers a personal insight, and the blog has a very intimate feel. With a touch of travel and product reviews, The Third Place is a very open blog about Sammy’s life and experiences in Brighton. The name sums this blog up well. 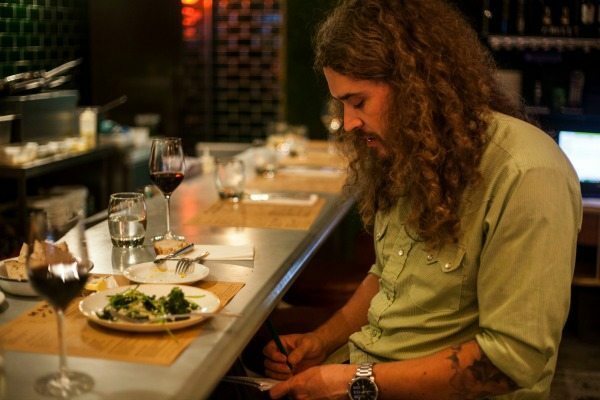 Not one to confuse matters, and always looking for the next place to eat and drink, Tom Flint’s blog features mainly restaurant reviews from around Brighton from his column in the Brighton and Hove Independent. Originally started as a place to write recipes, it has developed into a review and news site. Tom’s love of all things food and drink is represented on the site, and his Instagram is the place to keep up to date on what he has been cooking and eating. A great resource for independent restaurant reviews and the occasional update on Brighton’s food scene; Food, Booze and Reviews does exactly what it says on the tin. If you are looking for a blog that is 100% frank and open, Rosie Posie’s Puddings and Pies is the one for you. Rosie is not one to mince her words, and her reviews reflect her open and honest approach to blogging. The blog has a mix of restaurant reviews and guides plus some beauty and lifestyle posts mixed in. It is another fantastic looking blog that is very easy to navigate and discover posts. Rosie’s uncompromising style and ability to entertain and engage her readers is second to none, and her passion for food is plain to see. Be sure to follow her Instagram exploits for a real slice of Brighton life and some excellent cat photos. Strengths: Uncompromising and honest, great site, cats. This foodie couple have created a food, lifestyle and travel blog that covers pretty much all things Brighton and beyond. Josh is the cook of the couple, creating the recipes and even leading a pop up café for a week, and Jess does all the writing and blogging. The easy to navigate blog has clearly defined areas that make for a pleasurable visit, and they even host the odd giveaway. The dine-amic duo have plenty of content to keep you entertained, and the photography on the site is visually appealing. The easy to follow recipes are great for those looking for some dinner inspiration, and the reviews are ideal for those who would rather someone else cooked for them. Another blog with two authors, Flavour Seeker is the creation of Hove based foodies Tim and Rebecca. The blog covers the whole plethora of food and drink; with reviews, recipes, events, drinks and ingredients all covered. It is a detailed blog, with loads of information throughout and the reviews give a clear score with a likes/dislikes breakdown. Recipes are easy to follow and informative covering a wide range of cuisines and dishes. Flavour Seeker is an extensive blog that has clearly been created by two people with a real love of food and a desire to both learn and inform. Beer blogging is one of the most popular blogging areas thanks to the explosion in craft and real ale brewing, and Brighton has its very own beer specialist in the form of Brett and Beer. Brett Preston is a beer lover who really knows his stuff. Brighton’s craft beer scene is ever expanding, and Brett has got the inside track on what is going on. The blog has some great information and thought pieces to get stuck into, and Brett’s Instagram is a wealth of beer news in Brighton and beyond. Be sure to follow Brett’s beery exploits and keep your veins full of alcohol based news. Arguably one of the more eclectic Brighton blogs, Gary Rose’s “The Wine Ninjas” is a blog that covers many areas. Clearly there is a lot of wine chat on here, and where would food be without wine, with Gary’s impressive knowledge on the subject conveyed in an informative yet fun fashion. There is an extensive amount of wine knowledge to be found here, plus excellent food reviews and travel pieces. Gary is an experienced writer and journalist with 15 years’ experience in the business. This comes across in the blog, and he even adds posts on writing from time to time. A great blog to round up our list and one to watch for foodies, wine enthusiasts and pretty much everyone else.